Celebrated our 10 year wedding anniversary....food was delicious and service was excellent. Definitely come back. Went for happy hour. Delicious and would go back. The rib bun and the prawn & scallop dish were so good. Service was attentive. Wonderful food and service. I enjoyed the Sunday evening prime rib special. Very accommodating to our requests. Live music (piano) in the background was special. Great talent. My wife and I went to Atlus for a Date Nate. Richard was a our server and did an amazing job. Even when his section got busy he didn't forget about us. All aspects of the meal were great. The restaurant ambience was good too as they had us at a quiet table in the back. We chose to bring one of our favourite bottles of wine and they quickly decanted if for us so that it was ready to drink after we finished our cocktails. It was a great evening and we'll be back. Great dining experience! Server went above and beyond for my friend’s birthday dinner, definitely will come back here again, the tomahawk was great! 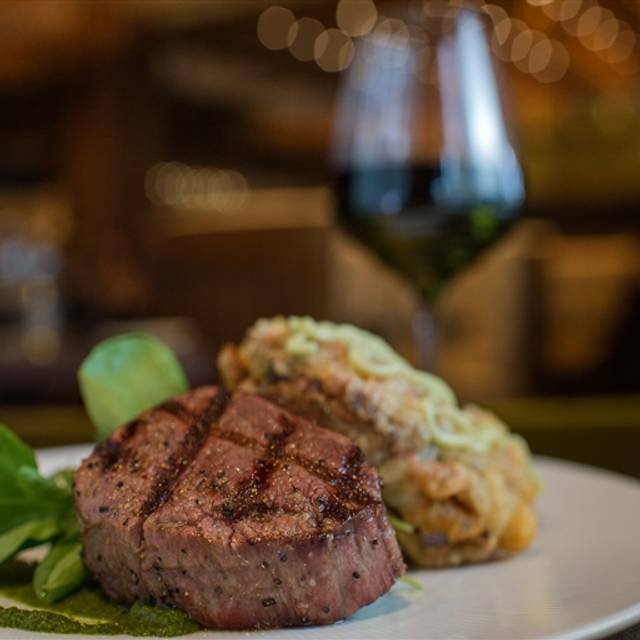 We truly enjoyed our experience at Atlas Steak & Fish in Burnaby! The atmosphere, the quality of our food, and the prompt and pleasant service was all of the highest standard. We sat in the far corner of the dining area at a round table with a perfect view of all the going's-on, and we would highly recommend that spot. We wish we could remember our waitresses name, as she was very professional in every way, and made the evening just perfect. (Please send us her name, as we would like to make special mention of her). 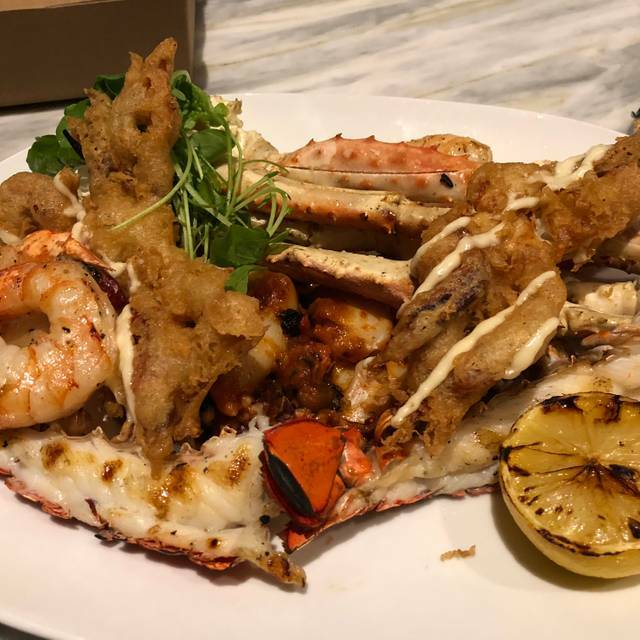 By all means, try the grilled sea food platter for two, which includes Alaskan King Crab legs, deep fried soft-shell crabs, calamari, huge prawns, and lobster tail. It was excellent! If your want an amazing night out for any special occasion, choose Altas, you won't be disappointed. Atlas is nice room. The menu is good and the servers did a great job. Very nice place. We had enjoyed the wait staff as well as the food. We ordered the Calamari (recommend it is not deep fried like typical places), Tomahawk (we ordered it medium- which was more for the table preferences but I would have definitely gone medium rare), risotto which I enjoyed but wife thought I was too wet but I like it cooked and not raw in the middle. They made a special dessert for our anniversary which was greatly appreciated and enjoyed. It was very good and enjoyable. 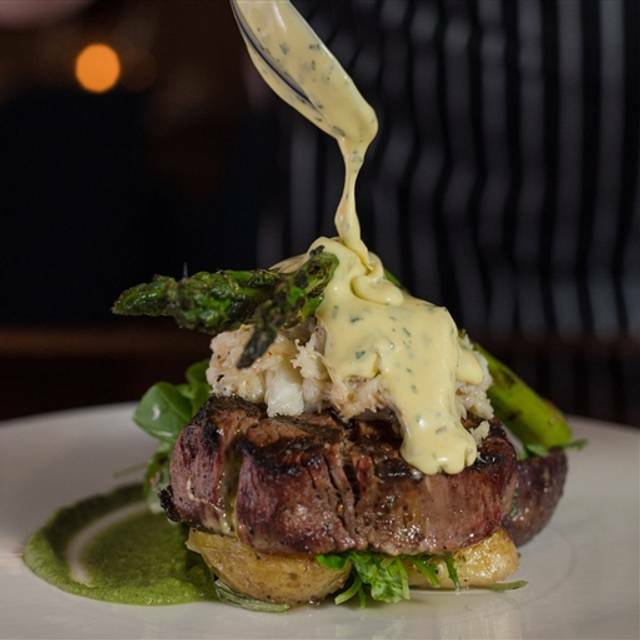 We had been told by friends that Atlas Steak was a good place to go for a steak in Burnaby. We had the opportunity to go there on Saturday and were pleasantly surprised. Normally we would not consider going to a casino for dinner. The quality of the food was good. Our waitress was friendly - perhaps a bit unpolished but friendly and eager to ensure that we had a good dining experience. For the $, I think the meal was very good. 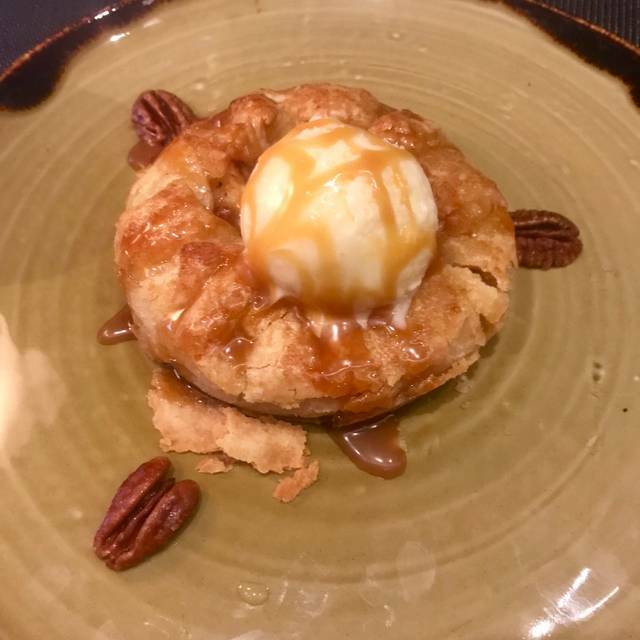 We had low expectations for a restaurant in Burnaby, but we were really impressed! We had the Tomahawk steak and it was delicious. If you come to this restaurant, you must try their delicacies made from their Josper oven, it makes everything (even the side of veggies) taste amazing. We also had the Baked Alaska for dessert. They flame it in front of you and that was exceptional visually and to the taste buds. Highly recommend this restaurant! The food was delicious and the service was amazing. It’s so nice to have a higher scale restaurant in Burnaby instead of having to head downtown! The ambiance, seating, and food was really great. Great spot in Burnaby. The steak was cooked perfectly. They even split our wedge salad into 2 plates for us knowing we were sharing it. Service needs some improvement. Waited awhile before we got any attention once seated. We never received one of the side dishes we ordered. I have some dietary restrictions- waitress said everything is ok for me to have but I really don’t think she knew what she was talking about. We waited 20 minutes for our change and had to ask twice. Glad I figured out you where open for lunch. Pork chip, rib eye and baked alaska were all so delicious! We arrived at 12:35 AM on March 24 and the restaurant was closed. Having travelled all day to arrive, knowing our flight was late in the evening, it was nice to know we had this reservation for dinner. But when we arrived, the restaurant was closed and no one could understand how we were able to make a reservation. Very disappointed. Ratings of poor only because I wanted to be able to write a review. If the restaurant was not going to be open, why allow us to make a reservation. The only negative comment I could make would be I felt that it was very cold in the restaurant. The Tomahawk is hands down the best steak I have ever had. I brought my friend to celebrate his engagement and it was his best steak ever. Growing up in Europe and in Alberta. He still said this about the large Chilli Rubbed Cowboy Steak. I on the other hand enjoyed, like every other time, the Seafood Tower for 2 for myself. I was very impressed! Overall, I would rate this restaurant as one of my top three. The food was delicious, the portions a good size, the presentation excellent, the service unobtrusive and attentive. We will most definitely return. I can hardly wait. The server that served us was great, and very patient as we had children. Everything was great. The food was excellent. Our serve was good, but when I asked to pack the food, she put mine and my moms together is one box!!! Did not feel apologetic even when I asked to separate into two boxes. Music was a bit loud. Disappointing long wait after we were not quite ready when our waitress first came to the table. Food had ZERO "smoke flavour" she had promised so were not sure why she went on about the 6 hours to start the fire. It was really loud hard to hear, which was good as no specials or suggestions were given, she was busy with a bigger table of people and not too interested in us. Until our guest who was a Vegetarian ordered a salad and was told he was Very boring by the waitress, and asked why would he come there to a steak house and order a salad which I thought was rude. Our glasses were empty a lot and we were not offered any apples or more bread while we waited. We had a $100 credit but no mention was made about it or the fact we were staying at the Hotel. Our friend went ahead and paid without my realizing and it was very difficult to re coup my $100 meal credit the next day that I had purchased as part of my husbands birthday gift. I had made note it was a birthday but no suggestion of cake or anything was made and it was soo long until she came back after our meals that we didn't order Desert we just left. I dont think we would come again. What a wonderful experience - overall so excited about this restaurant. Nice flavour profile difference from the Keg. Lots of options and really amazing servers. I gave 4 stars on the ambiance more from personal preference - I’m over 45 and it was a little loud but conversation was still possible. Love round tables - keeps the whole group engaged. The seating is very comfortable and the decor is contemporary and eye catching. It was a lovely night out! The food and service was sub par, have been to Atlas in Edmonton, was expecting the same service and food. Wouldn't go again. The seats were amazing. I went with my girlfriend and we were given an entire circle booth to ourselves which was very cute and comfortable. Service was equally fantastic. I cannot remember our server's name but she was super friendly and made a good drink recommendation. Last but not least, the steak and seafood was delicious! A little bit pricy but is definitely worth the special occasion. Amazing food and service from this Atlas location. 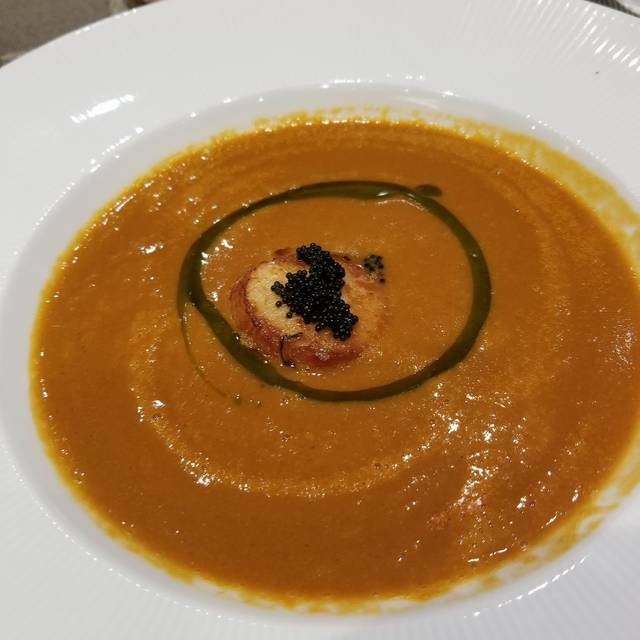 The Tenderloin and Seafood Bouillabaisse were outstanding and we enjoyed every bite. Our server was also very attentive and personable the whole evening and added to the great experience. I am not too happy with the policy of the restaurant this time. I am an Encore member and I got the coupon for a two for one prime rib dinner for three consecutive Sundays. The first Sunday we went, we have the usual bread before the food, and we order drinks, appertizer and desert for 4 of us apart from the prime rib. The second Sunday, two of us, we ordered a steak tartar and prime ribs, and we still have the bread. On March 10, 2019, two of us went, we ordered the steak tartar and two prime ribs, but when I asked for the bread, the waitress said we have to pay $3.00 for the bread, cause the prime rib is two for one, and they misprint the coupon wrong, cause supposed we have to order a drink and/or an appertizer or desert, so the restaurant have to honour the coupon, so we have to pay extra for the bread. But the point is that is not our fault, is between the restaurant and the casino, right? and every time we order an apertizer (which we pay full amount) too apart from the prime ribs, and we still have to pay for the bread? that doesn't make any sense to me, as Atlas sounds to me is a very high end restaurant, and because of the misprint in the coupon, they want to charge $3.00 for the bread, which we also ordered an extra full price apertizer and still has to pay for the bread? That is totally unacceptable!!!!! We enjoyed a lovely dinner out at Atlas! We went on a Sunday and got to enjoy their prime rib dinner, it was excellent. The ambiance was perfect, they have someone playing piano Thursday - Sunday nights. They can also have a kids menu, their meal came with drinks and dessert. The baked alaska is always a must! Hayley our server was tenantive and lovely. We always recommend this place to friends and family! Food and cocktails were great for the most part. Calamari appetizer was good, and creative but not particularly outstanding and not the best cook on calamari that I've had. They obviously know how to cook a steak and did a great job of that. Lots of celiac and lactose free friendly options and a creative cocktail menu. 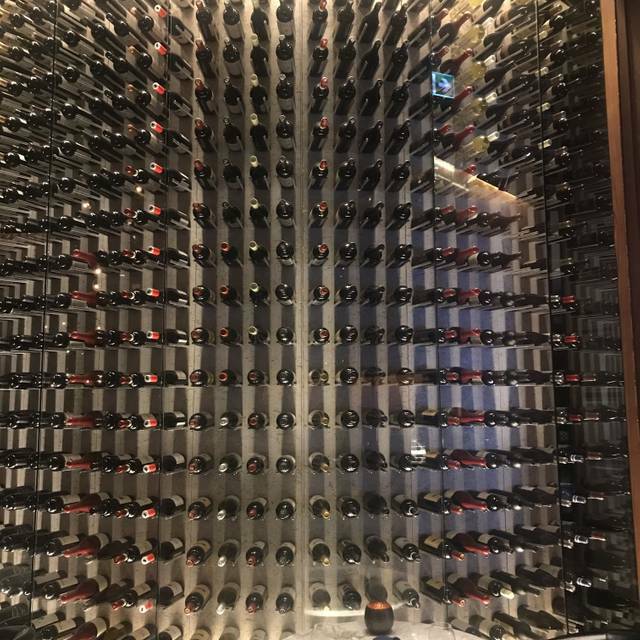 Wine list could use some bumping up but I suspect that's also affected by their association with the hotel and casino (limits on what their suppliers can bring in - and what I'm assuming is a lack of an in house sommelier. 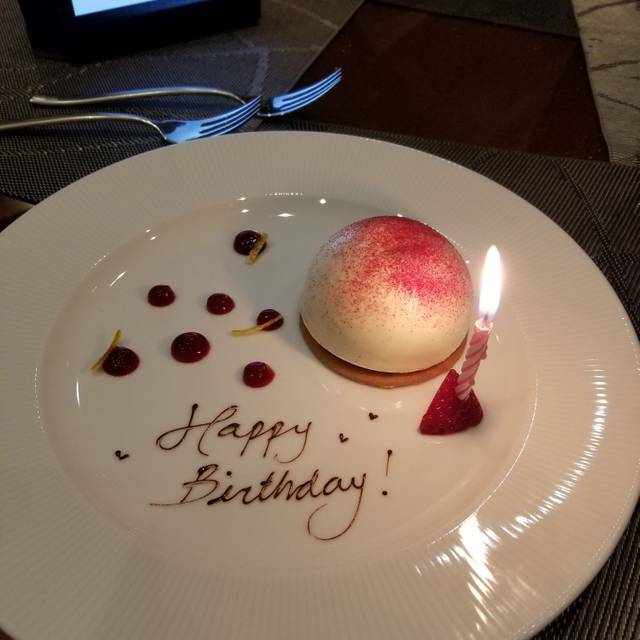 I marked them lower on ambiance because I found that while it was generally fine dining there were a few things that detracted from me fully embracing Atlas as an excellent experience for the price. I found that the table we had was really crowded in. I could have reached out on either side and touched people at the tables next to me without stretching. With little noise dampening technologies employed, it made for a loud room (or at least in my area) which meant I could hardly hear the server when she was informing us about the cooking technique that makes Atlas special. And what was the most bothersome to me is that there didn't seem to be any rhyme or reason as to how the seating was accommodated. We were tightly packed in between two other tables while 10 feet to my left there was a whole area of banquette missing a table which would have allowed for our tables to be spread out more. Meanwhile further down from us they had 4 people in a booth while across from where I was sitting (and faced during our meal) there was a large booth being occupied by only 2 people. Not sure why that was. I will be back again but will likely have a more directed conversation with the front desk when making my reservations to ensure I don't end up feeling like a sardine during our next dinner there. My husband and I go to atlas sometimes since we live so close and we always get the seafood platter. I have tried mushroom risotto and the lobster spaghetti as well which I have enjoyed. But this time the food we ordered. Seafood risotto and lamb chops. 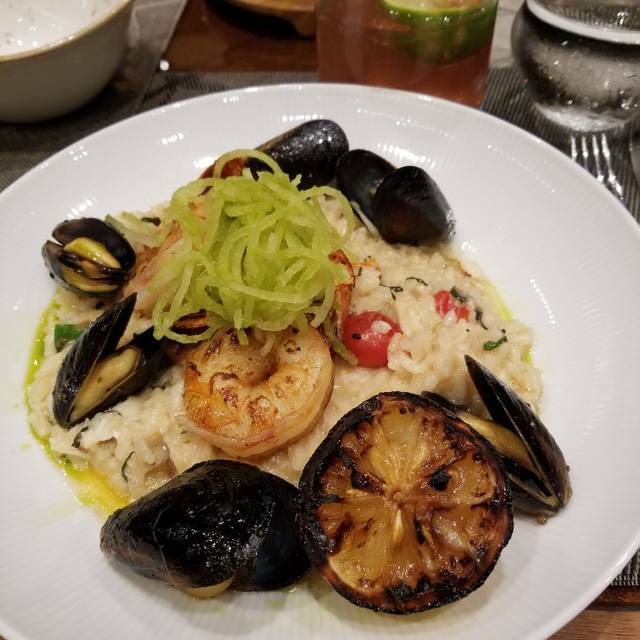 The seafood risotto was so hard. The crab was shredded on top. Not a nice scene. Overall it was ok. If it was cooked properly maybe it would have tasted a bit better. He wasn’t so happy w his lamb either. The bay Calamri was not fresh. Super rubbery. I thought it was deep fried that’s the reason I ordered it. My husband ordered prawns on the side which was raw inside. We didn’t enjoy our experience this time and feel as if atlas is very inconsistent with their food. The service was on nothing great. Just to add the baked Alaska looked better than it tasted. It seemed to have just been frozen and taken out of the fridge and presented to us. Hands down the best restaurant I have ever been to. 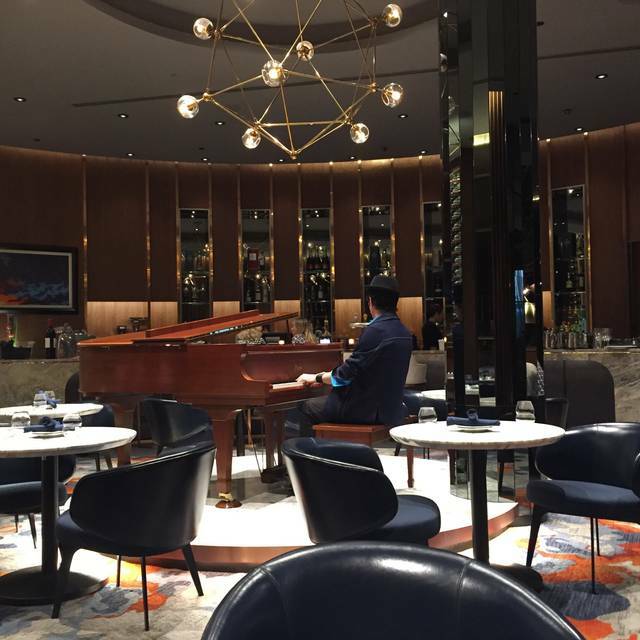 Food is amazing, service is fantastic, and live piano helps too. Ordered the tomahawk pork chop and I recommend to anyone who eats meat. Overall, just a perfect place for a classy night out. We have been several times and never disappointed. Perhaps not have a piano player, or move it somewhere else so diners can eat and have a discussion without too much noise. So far consistency every time.